First of all, let me say a big ‘thank you’ to all of you who joined us in Hamburg last month for the Global Wind Summit. I hope you enjoyed it. It was the first time the WindEurope conference and the WindEnergy Hamburg exhibition had taken place under the same roof. That made a big difference. I hope you agree the co-location and integration of the two events made for a dynamic interaction between all the different players in the industry. 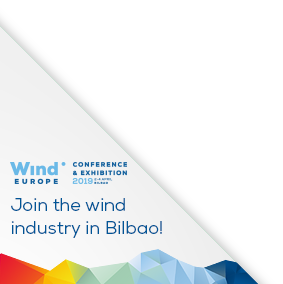 More than 2,000 conference delegates delved into the key issues facing the industry, and how wind is “breaking new ground” geographically, technologically and financially. We had top-level speakers such as EU Climate & Energy Commissioner, Miguel Arias Cañete, and IEA Executive Director, Fatih Birol, plus European energy ministers. And overall there were more than 500 presenters from the wind industry, government, finance, academia and other stakeholders. 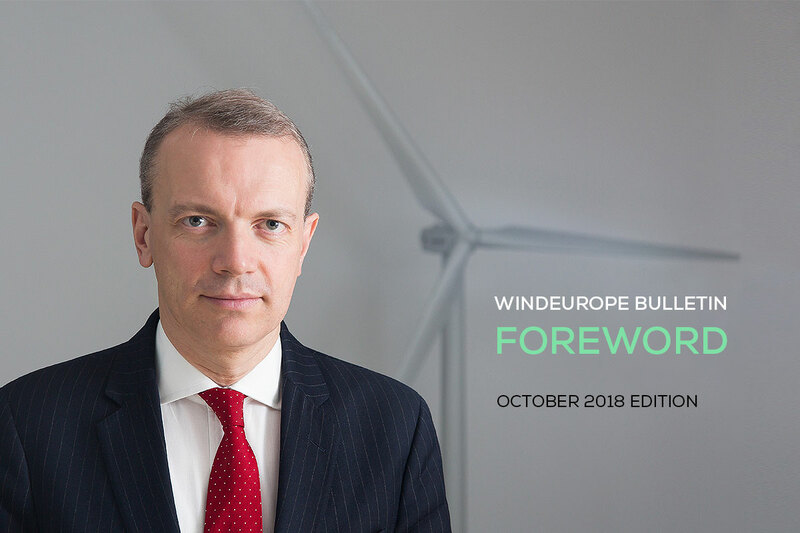 You may have seen we issued a new report at the event, ‘Breaking new ground’ which sets out the case for the increased electrification of Europe’s economy. It shows electricity is less than a quarter of Europe’s energy and, while we’re doing OK getting renewables into electricity, the rest (heating, transport, industry) is still mostly powered by fossil fuels. That’s got to change if we’re going to decarbonise the economy. Electrifying heating, transport and industry is the answer, and the report shows we have the technology to do it and it’s affordable. Action on electrification is one of the things we’re now pushing Governments in Europe to include in their 2030 National Energy and Climate Plans that they have to submit to Brussels at the end of this year. I’ve mentioned these National Plans to you before. They’re crucial. They’ll set out among other things the new renewables each country plans to deploy between now and 2030. So they’ll define the shape and size of the markets you’re all operating in for the next 10 years. We have to get them right. Wherever you are in Europe, please engage your Government and make the case loudly for maximum ambition in their National Plan. That means maximum volumes for new build – and a clear plan (repowering, life extension) for existing assets that reach end-of-life between now and 2030. Other products from Hamburg are a new WindEurope policy blueprint’ on floating offshore wind. And a new infographic from our Ports Platform showing how Investment in ports reduces the cost of offshore wind. Here are the photos and the conference proceedings from Hamburg. Sticking with events, our annual corporate-renewable energy sourcing event RE-Source 2018 is coming up in Amsterdam on 20-21 November. I’m sure you’ll have noticed that the number of corporates signing Power Purchase Agreements (PPAs) with wind just keeps on growing. Last year’s inaugural RE-Source event was an enormous success. This year we have a bigger venue, more conference sessions and networking opportunities. The programme for the event is now online. Do join us. ensuring capacity remuneration mechanisms remain temporary only. They risk prolonging overcapacity in Europe’s power system at significant cost to consumers if they’re not phased out over time once introduced. We’ll keep you updated on how this progresses.